12BET.com, Asia's most recognized bookie surprises you with the best loyalty reward ever. Bet all you can and have fun with our 10th day unlimited cashback! As a co-host of EURO 2012, Poland is an automatic qualifier and is set to begin its campaign on June 9, 2012 in Warsaw, facing Greece as its first opponent. Netherlands and Denmark are facing each other again for the 31st time, this time at the EURO 2012 this June 10, 2012. EURO 2012’s Group C teams will start their respective campaigns on June 11, 2012 with the national teams of Spain and Italy on the front line. Group D of EURO 2012 is set to begin its opening round on June 12, 2012 with a much-awaited clash between France and England. This Saturday’s Germany-Bundesliga will feature frontrunners Bayern München going against Borussia Monchengladbach. Bayern has won thrice and drawn twice in their last five league games, while Monchengladbach has won twice, drawn twice and lost once. Bayern has won 13 of their 16 league matches this season. Alongside two draws, the Bavarians got their only league loss this season at home from Bayer Leverkusen. Both sides have no problems with injured players. In this fixture, Bayern stand as favourites for winners at 1.960, although punters for the Bavarian outfit must hope for a three-goal scoreline lead (home win at 3-0, 4-1, etc.) in order to get past through Monchengladbach’s 2-2.5 (2.25) handicap. THE LATEST ENGLISH PREMIER LEAGUE NEWS – Following the coin-pelting incident that injured Manchester United defender Rio Ferdinand in last Sunday’s Manchester league derby, the Professional Footballers’ Association is now thinking of surrounding pitches with protective nets. Gordon Taylor, PFA chief executive, said that such move is necessary to protect the players from erring fans seeking to leave a footpr1nt in matches through pitch invasion and throwing random objects on the pitch. Daily Mail pundit Jamie Redknapp, for his part, called on players to restrain from taunting opposition fans so that they could avoid flying objects from angry fans. He said that players have to be responsible for their actions on the pitch. THE LATEST ENGLISH PREMIER LEAGUE NEWS – Fernando Torres’ efforts to improve his disappointing form at Chelsea paid off as he scored a brace on Sunday’s league game against hosts Sunderland 1-3. The Spanish striker opened scoring on the 11th minute and followed up a 45th-minute penalty to bring visiting Chelsea 0-2 by the end of the first half. Compatriot Juan Mata found the back of the net four minutes into the second half. Adam Johnson’s strike on the 66th minute proved inadequate to match Chelsea’s dominance at the Stadium of Light. The Blues’ league victory is a first for interim manager Rafael Benitez, who constantly sought to leave a footpr1nt at the club since his takeover from Roberto di Matteo. THE LATEST UEFA CHAMPIONS LEAGUE NEWS – Manchester United have qualified for the Champions League this season, but ended their group stage run with a disappointing home loss to CFR Cluj-Napoca 0-1. United wished to leave a footpr1nt with another home win on Wednesday, but the Red Devils failed to turn around a 25-yard effort from Luis Alberto. The match left a worrying precedent for manager Sir Alex Ferguson in time for Sunday’s Manchester derby against Manchester City. THE LATEST UEFA CHAMPIONS LEAGUE NEWS – Greek champions Olympiakos stalled Arsenal’s winning hopes through a 2-1 fixture in Tuesday’s Champions League. Tomas Rosicky opened scoring on the 38th minute, as the Czech playmaker sought to leave a footpr1nt in the match following his long stint in the sidelines. Giannis Maniatis recorded an impeccable finish to equalize in the second half. Kostas Mitroglou threw in the winner on the 73rd minute, effectively preventing Arsenal from climbing the top spot of the group table. 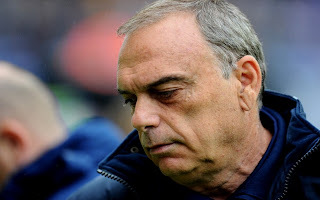 THE LATEST ENGLISH PREMIER LEAGUE NEWS – Despite persistent reports, Chelsea have not reached out to former Avram Grant regarding an assistant role to interim manager Rafael Benitez. Rafa went on without winning his three games for Chelsea after taking over from the reins of Roberto Di Matteo. Fans showed disapproval of the Spaniard’s takeover, noting his days as Liverpool manager in which his side had a bitter rivalry against the Blues. Grant managed to leave a footpr1nt of positive impression to Chelsea owner Roman Abramovich. He led the Blues as their interim manager in 2007-08 and brought them to the Champions League final. Under him, the Stamford Bridge side never lost a league home game. THE LATEST ENGLISH PREMIER LEAGUE NEWS – Arsenal manager Arsene Wenger has called on his side to remain strong and united in the face of their lacklustre form this season. The Gunners currently sit in 10th place in the table after losing at home to Swansea City 0-2. Wenger is confident that they will still win w1th ease in matches to gain a higher place in this season’s league table. He said that he believes in the “quality of the players and the spirit we have”. 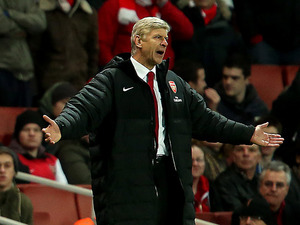 Having failed to win w1th ease against Swansea, Wenger noted that his side lacked their much-needed creativity. They are lagging behind leaders Manchester United with a 15-point gap, yet the manager said that he is “not so much worried about league places”. THE LATEST ENGLISH PREMIER LEAGUE NEWS – Current Premier League number one on the table Manchester United recorded another crucial league victory over visitors West Ham United 1-0 in Wednesday’s fixture. Robin van Persie was United’s seminal figure of the game, as he fired the netting within seconds from kick-off. Subsequent efforts from strike forces Javier Hernandez and Wayne Rooney fell on Jussi Jaaskelainen’s saves. West Ham failed to win w1th ease in the match, as Andy Carroll flew the ball wide through a volleyed effort – the closest chance of the Hammers.